Signing a book for a dear friend. 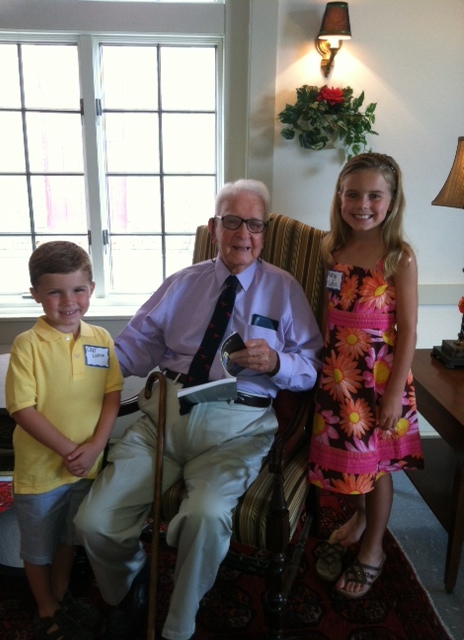 With my great-grandchildren, Clay and Audrey La Rue. Thank you to all my Friends, Family and Connections for attending the Launch Party & Book Signing on Sun., Aug. 18th at The Hodgenville Woman’s Club. What a special day seeing dear friends and receiving so much love and affection. Special thanks to Brooks Howard Meador for her splendid reading and to County Judge Executive Tommy Turner for his wonderful remarks. Also, an extra special thanks to Andrea & Eric Garrett for the loan of the beautiful furniture from Garrett’s Furniture and to Rooney & John Gray for the lovely carpet and end table. The Woman’s Club never looked so good! My tremendously talented daughter, Paula Frances, catered the event via her restaurant, Paula’s Hot Biscuit, with an invaluable contribution from Rooney Gray’s MAM Candy. These are two of Hodgenville’s absolute Best. Somewhere between 130 – 150 people attended, many of whom bought multiple copies of the book for which I am both humbled and grateful. I look forward to hearing your thoughts, your suggestions, your additions, etc. James D. La Rue, Jr.
What a fantastic turnout: 150 friends, family and connections gathered to celebrate Jim’s La Rue’s book launch. If you have photos to share, please do! Thanks to Paula’s Hot Biscuit for catering a delicious dessert table and to Garrett’s Furniture for supplying some gorgeous chairs and end table, as well as to John Gray for the beautiful area rug. — Steve La Rue (aka, Squire MacDougal, webmaster for this site). My name is Kimberly Anne Walters Lease. I am a direct descendant of Mary Brooks and Margaret LaRue Walters. Although I grew up in Louisiana, I now live southwest of Houston in Richmond, TX and enjoy tracing many of my family lines. Thank you for writing the book and preserving historical data for our family line. I can’t wait to order a copy of your book and teach my cousins, etc. 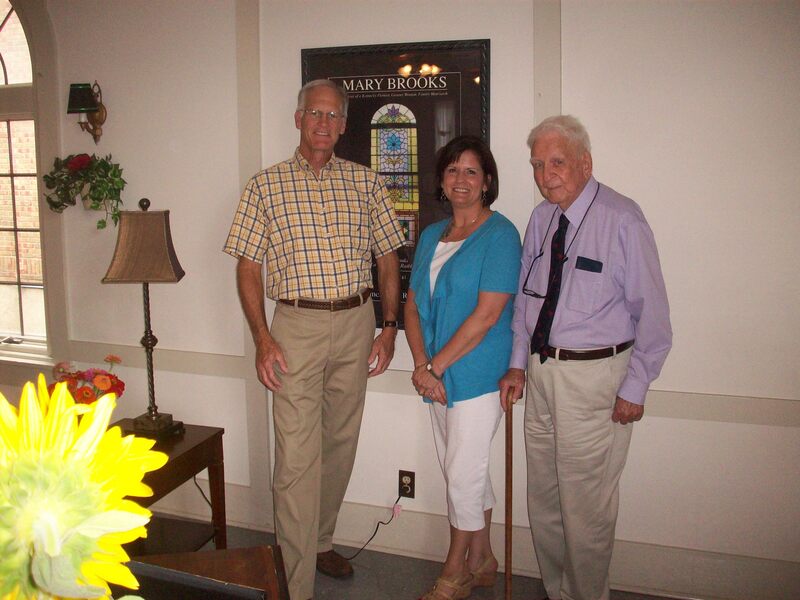 the historical information about the LaRue’s and hopefully, Mary Brooks’ children including Peggy. Thank you for your wonderful comment, Kimberly. 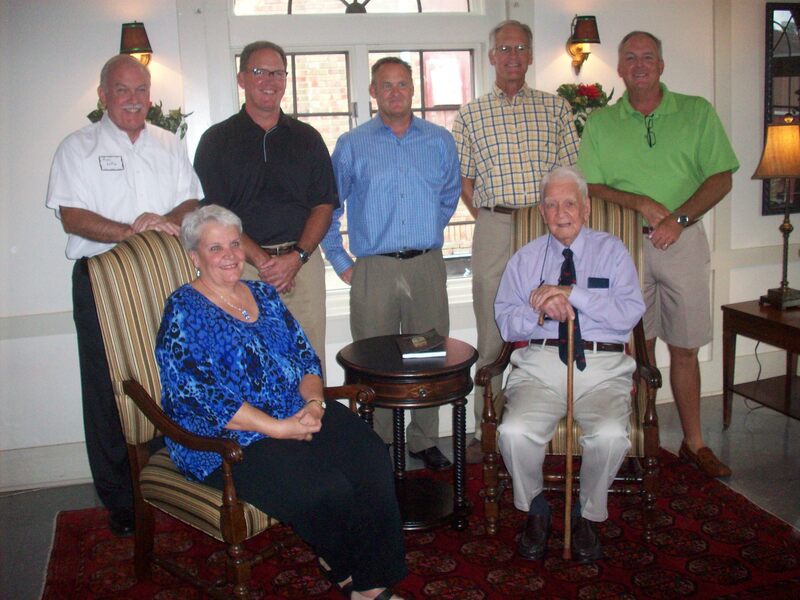 Please stay in touch and let us know if you visit Hodgenville!